Norwalk, CT - Fairfield County’s Community Foundation is the largest provider of college scholarships in the region. This year, close to $1 million will be awarded to more than 450 Fairfield County High School seniors, college undergraduates and graduate students to jumpstart their path to success. These awards range from $500 to $8,000 and some of the scholarships are even renewable. Since the Community Foundation Scholarship Program was established in 1992, over $9 million has been awarded. With over 175 scholarships to choose from, students applying to two- and four-year educational institutions and for technical certificate programs may qualify for any number of opportunities. Scholarships through FCCF are available for high school seniors and current undergraduate and graduate students residing in Bridgeport; Easton; Fairfield; Monroe; Milford; Shelton; Stratford; Trumbull and Westport. There is an online application at fccfoundation.org. The application deadline is March 21, 2019. In addition to the numerous scholarships listed at www.fccfoundation.org. FCCF offers a wide selection of scholarships directly through most high schools in Fairfield County. Students and parents are encouraged to visit their high school’s websites or contact their guidance departments for additional information about current Fairfield County’s Community Foundation scholarships available and instructions on how to apply. 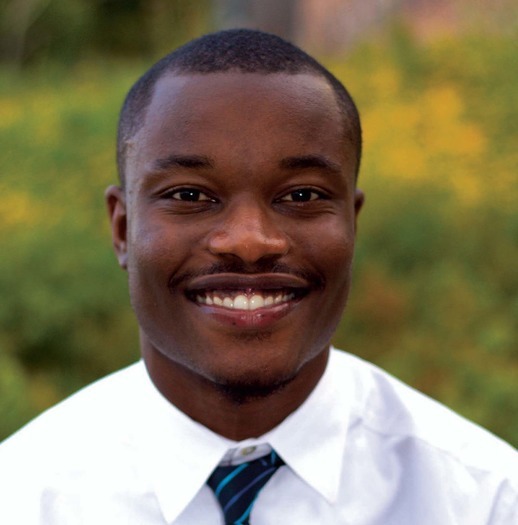 According to FCCF Scholarship Fund recipient Cyrus Brown, “As a first-generation college student, an FCCF scholarship was my first step to higher education. I was motivated to study hard and do great things so I could show donors and the Community Foundation that their generosity is helping me achieve my hopes and dreams.” This past May, Cyrus Brown graduated from UCONN with a BS in Exercise Science and is now working toward his doctorate at Howard University. One of the highlighted scholarships this year for students in good standing is the Magnus Wahlstrom Leadership Award for students with high academic scores who are notably recognized for social leadership and community service. Applicants for this award must show a passion for learning and a deep interest in continued education with plans to attend a 4-year college or university. There will be one student selected for this award and it is renewable. Another scholarship option is the Greater Bridgeport Area Scholarship for students who will graduate with a GPA of 2.7 or higher. Applicants may be planning to attend a 2- or 4-year college or university or be enrolled in a vocational or certificate program. There will be several students selected for this award. By creating an opportunity for all students to pursue degrees that can lead to meaningful careers with their extensive scholarship funding, the Community Foundation is committed to foster a vital and inclusive community where every individual has the opportunity to thrive. Take the time to determine what scholarships you may qualify for and find out how to apply. Contact your school’s guidance department and go to the Community Foundation’s website. Fairfield County’s Community Foundation’s goal to build a stronger community while promoting philanthropy as a means to create lasting change in Fairfield County is exemplified by its scholarship initiative. If you are interested giving someone the opportunity to pursue their dream by establishing a scholarship at Fairfield County’s Community Foundation, please contact Kristy Jelenik at 203.750.3200.